The ATF is privileged to have the support and expertise of its team of Medical Advisors, who are all Australian medical specialists, researchers and associated medical officers, who have devoted their life's work to improving outcomes for patients. Professor Eastman has devoted his life’s work into researching the consequences and outcomes of Iodine Deficiency and the thyroid health of pregnant women and their offspring, both nationally and internationally. 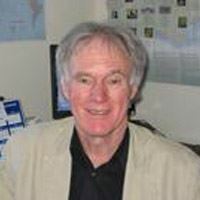 Professor Eastman is recognised as a world leader into Iodine Deficiency and continues to head research studies in Australia, the South Pacific and Asia. 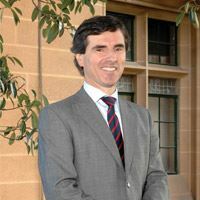 As well as holding the position of Dean of Medicine at Sydney University, Professor Robinson is Head of the Cancer Genetics Thyroid Laboratory at the Kolling Institute, situated in the grounds of Royal North Shore Hospital Sydney. Professor Robinson has united the Kolling’s major cancer research teams into a single group, providing new opportunities for interaction and collaboration, with a strong focus on thyroid cancer. Professor Robinson is an Endocrinologist specialising in thyroid disorders and in particular thyroid cancer. 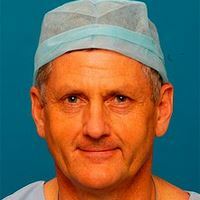 Professor Delbridge is Australia’s most experienced parathyroid and thyroid surgeon and has been so for the past 20 years. Professor Delbridge’s research into thyroid and parathyroid surgery is highly recognised worldwide. Professor Delbridge has also developed worldwide techniques into robotic thyroid surgery and parathyroid keyhole surgery. Professor Wall has spent 24 years in positions Canada and the US. Professor Wall’s clinical research has focused on Graves’ Disease, the associated ophthalmopathy and related thyroid and orbital autoimmune diseases. His main area of research interest has been the eye muscle component of thyroid-associated opthalmopathy for which he is known internationally. 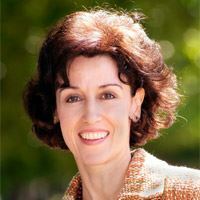 Geraldine has previously held positions as the Operational Manager and Senior Pharmacist for the NPS Adverse Medicine Events Line (2000 - 2012) and also a Consultant Drug Information Pharmacist for the Australian Dental Association Qld branch (2010 - 2012). Geraldine is currently a Consultant Drug Information Pharmacist for the Mater Health Services, since 1992, a Co-Presenter for www.pharmeducation.com.au since 2010 and Consultant Pharmacist for "Pharma-Advise" Service for the Australian Dental Assocation Inc., since 2013.Geraldine has always been passionate about the importance of patients receiving the right information and education about medications and their effects. Susie Burrell is one of Australia’s leading dietitians, known for her extensive background in both nutrition and psychology and for her practical, easy to understand approach to diet, nutrition and wellbeing. Susie completed both her dietetics and psychology degrees at Wollongong University. Early in her career, she spent almost 10 years working at The Children’s Hospital Westmead, specializing in Weight Management and currently works and with elite sporting teams where she has gained much applied experience working with children, families and elite athletes. Susie is currently the resident sports dietitian at Sydney University Sport and has a private clinic in Bondi Junction where she specialises in insulin resistance, PCOS, weight loss and autoimmune disease. Susie also runs the online program, Shape Me which develops individualised dietary programs across a range of dietary preferences and contributes regularly in many forms of media. Susie is currently completing a Master’s Degree in Coaching Psychology at Sydney University.